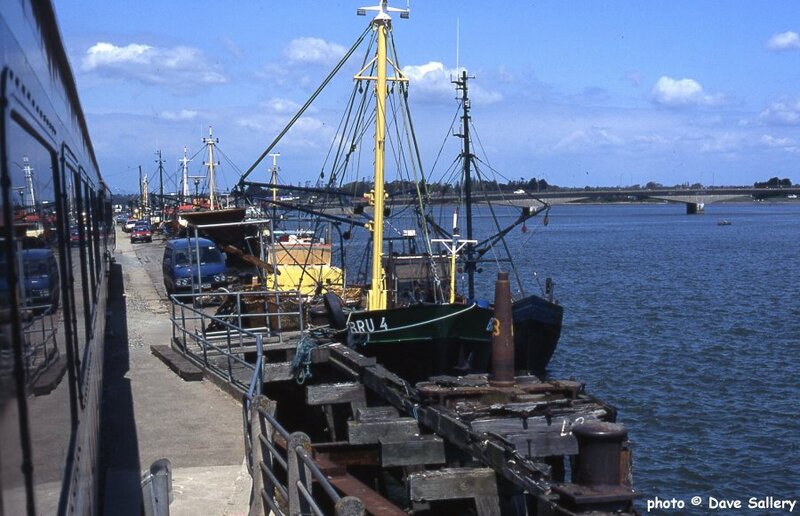 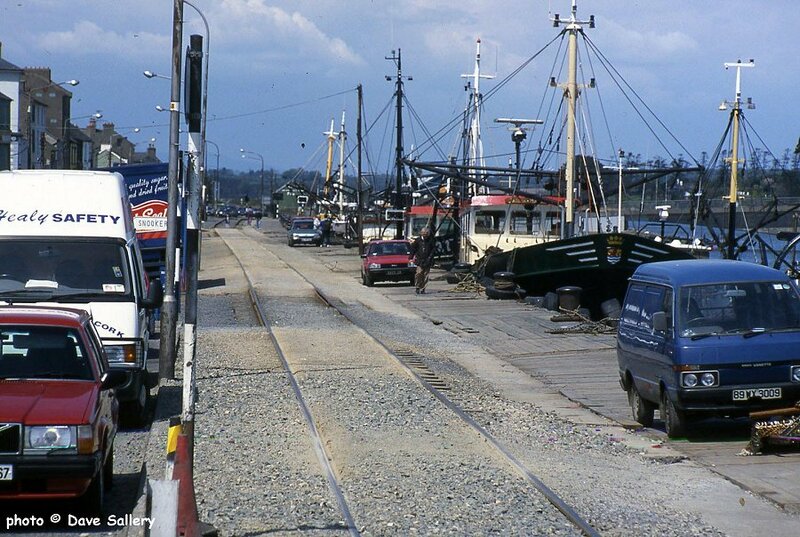 The seaward side on Wexford Quay. 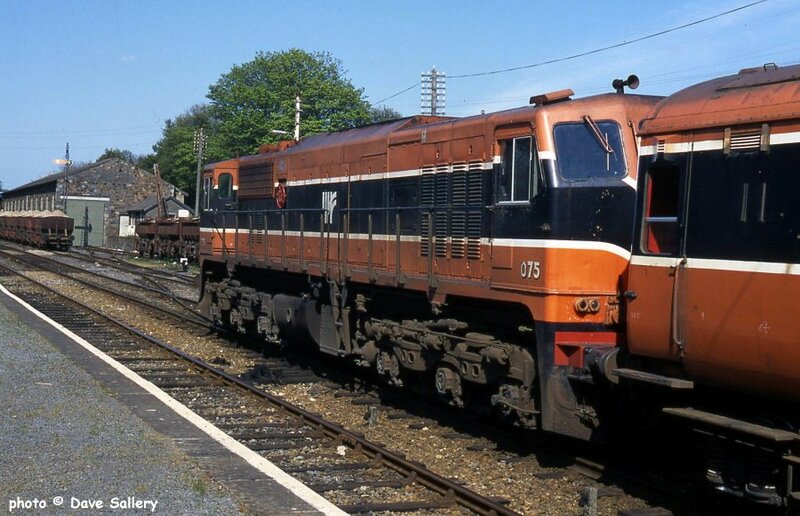 We got a bus back from Rosslare to get this shot of the track. 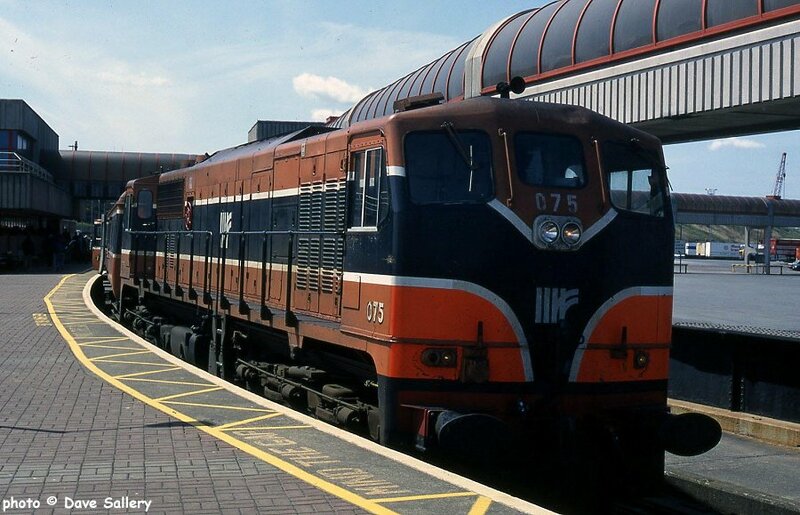 075 at Rosslare Harbour, 18 May 1996. 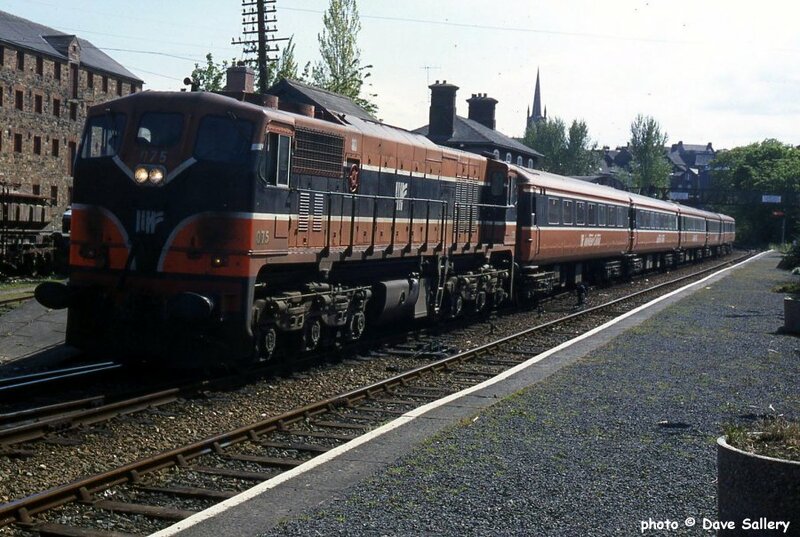 Waiting to cross the delayed southbound train at Enniscorthy, 18 May 1996. 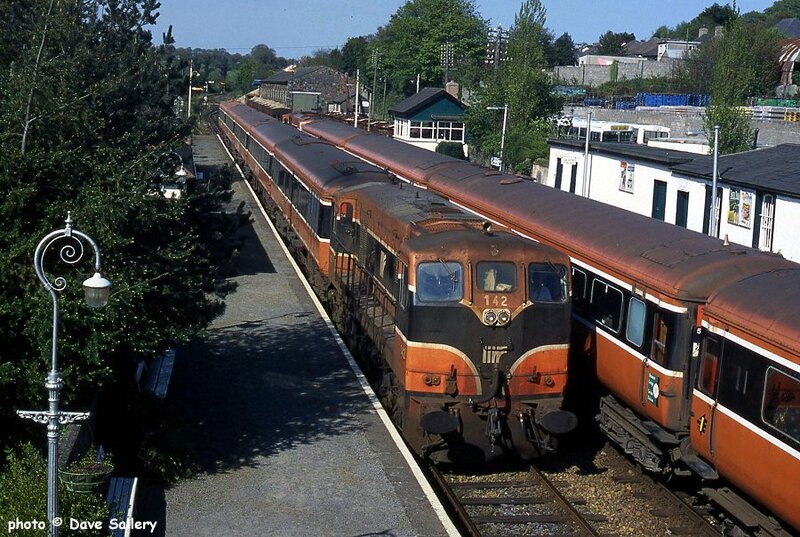 142 arriving at Enniscorthy, 18 May 1996.